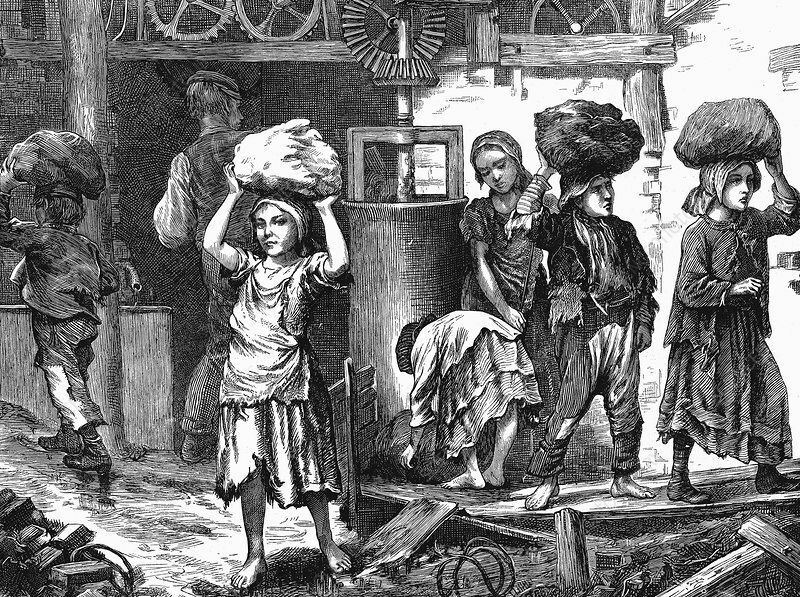 Children carrying loads of clay in the brickyards of the English Midlands, 1871. It was estimated that at this time there were between 20,000 and 30,000 children from 5 to 16 at work in British brickyards. Illustration from The Graphic (London, 27 May, 1871).